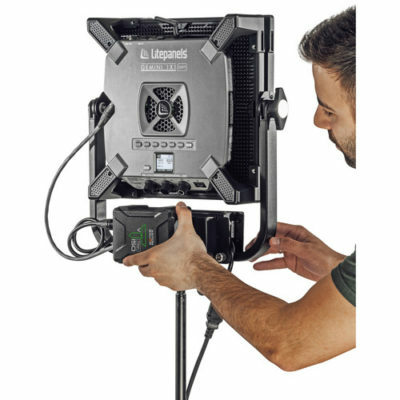 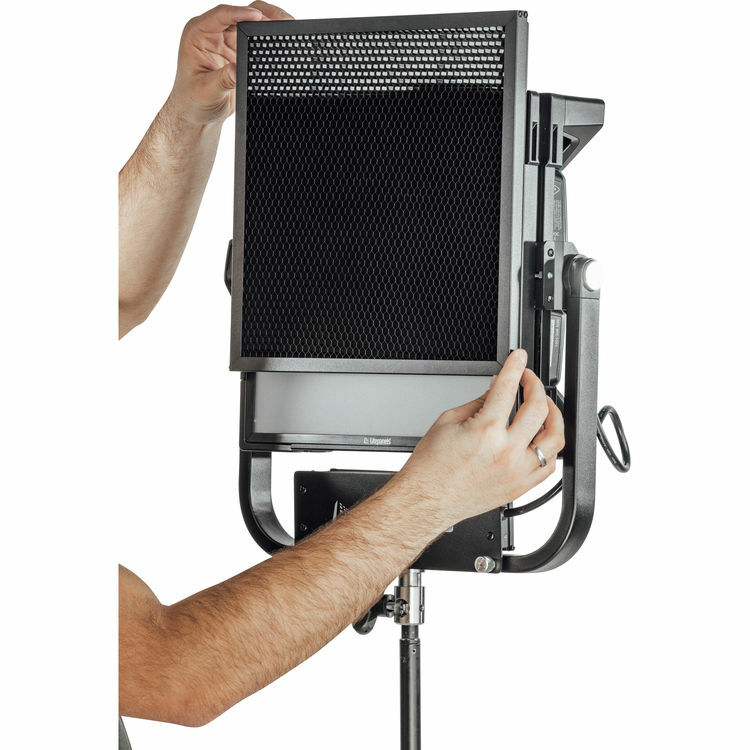 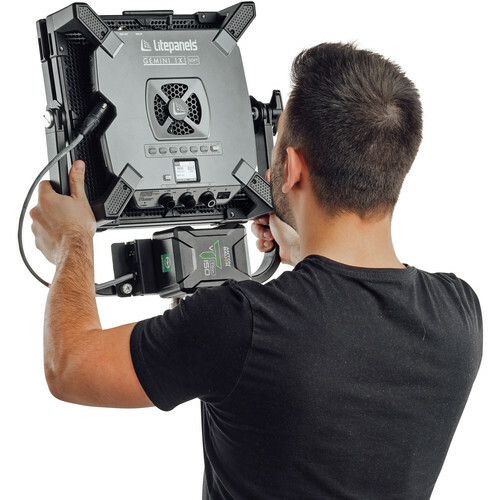 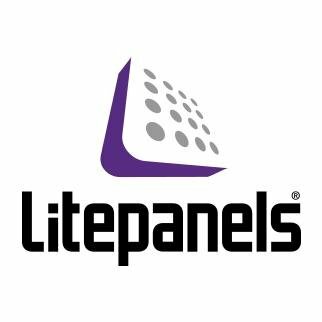 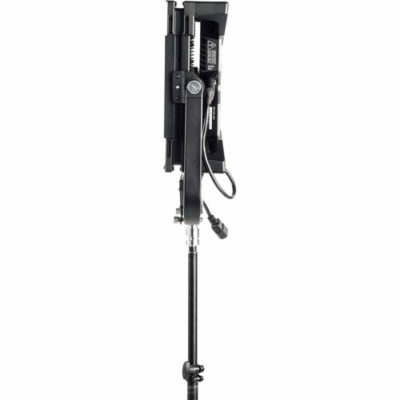 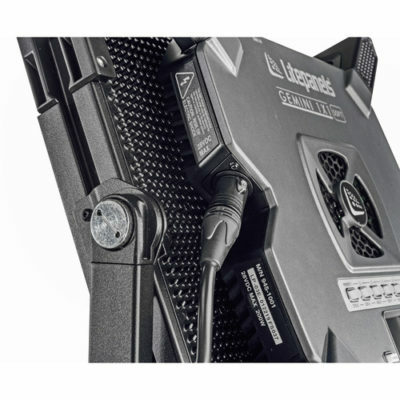 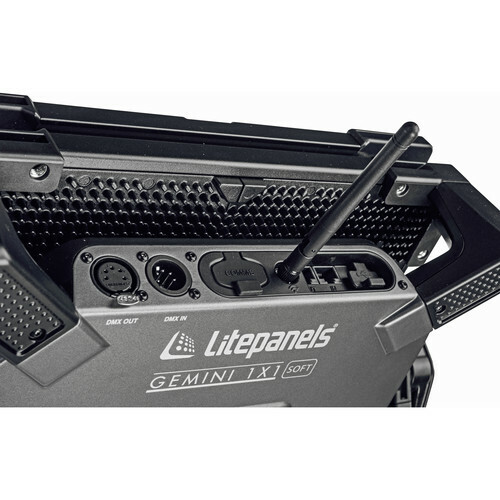 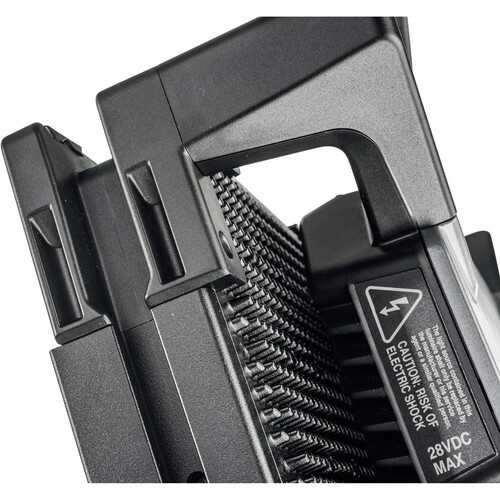 Stability, rugged construction, flexibility, and control is what Litepanels is all about and the new Gemini 1×1 RGBWW Fixture proves just that. 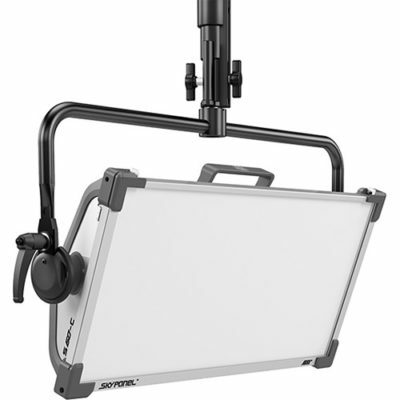 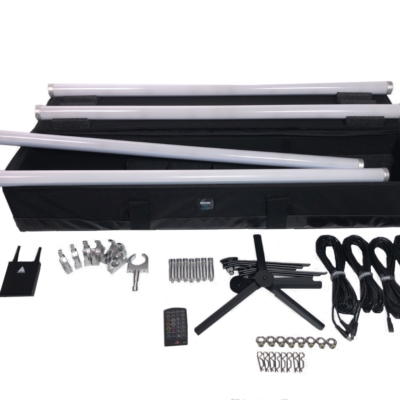 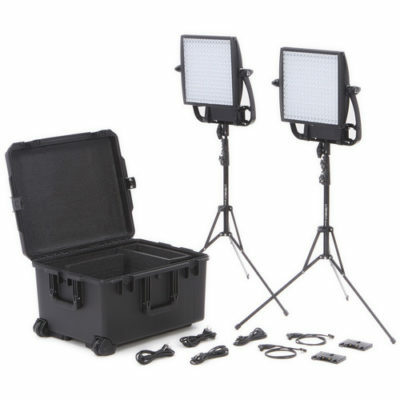 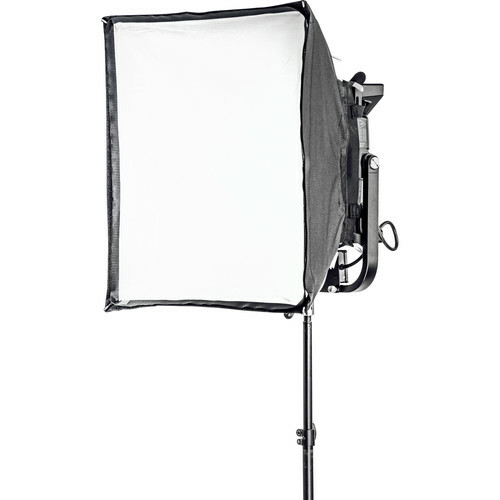 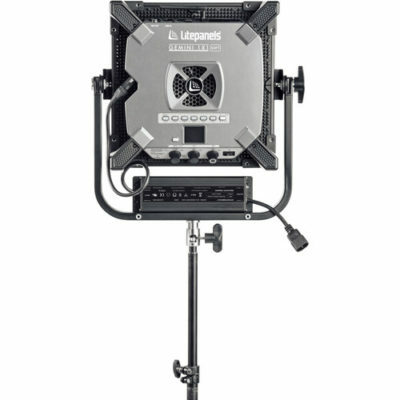 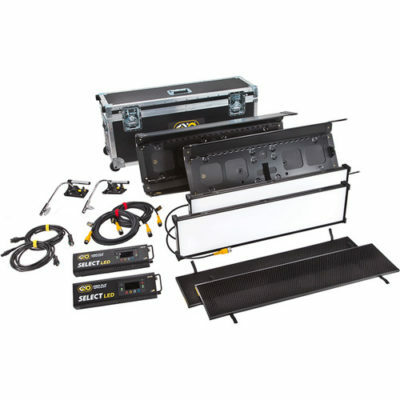 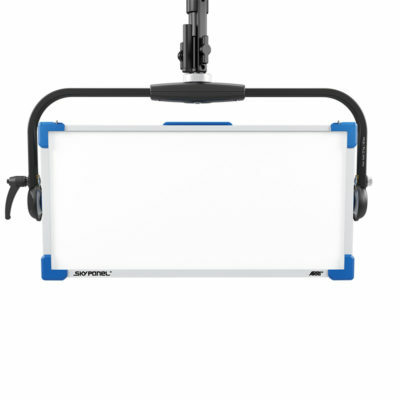 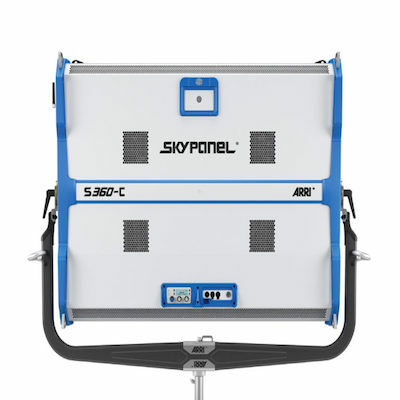 The aluminum-constructed, 12.6 x 12.6 x 4.6″ fixture has multiple lighting modes including CCT, Hue, Saturation, Gel Presets, as well as an effects mode. 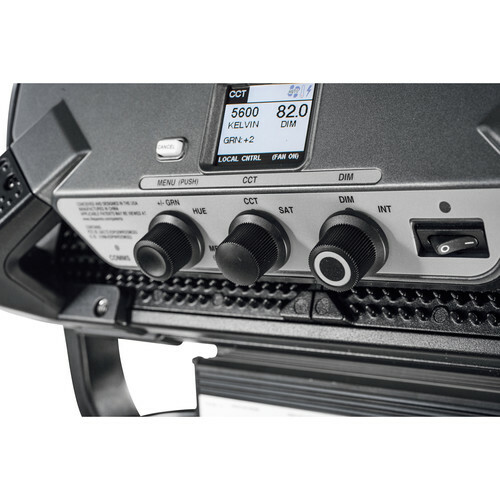 The CCT color temperature control has six factory presets in increments from 2700 to 10,000K. 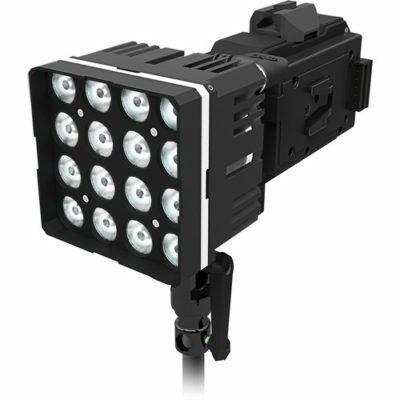 There are also six presets for user-defined color temperature and plus/minus green control. 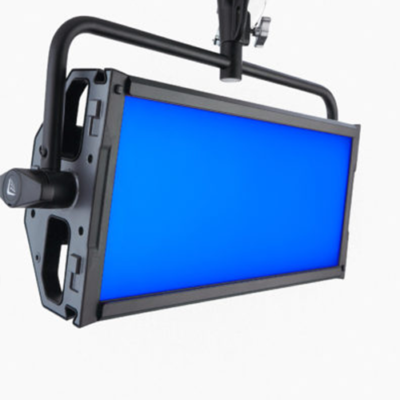 The HSI Color mode allows you to adjust the hue, saturation, and intensity, while Gel mode permits your choice from a library of filters favored by filmmakers, and an effects mode provides nine different effects to work with. The light has a CRI/TLCI rating of 97 for daylight balance and 94 for tungsten balance, indicating an accurate rendition of color. 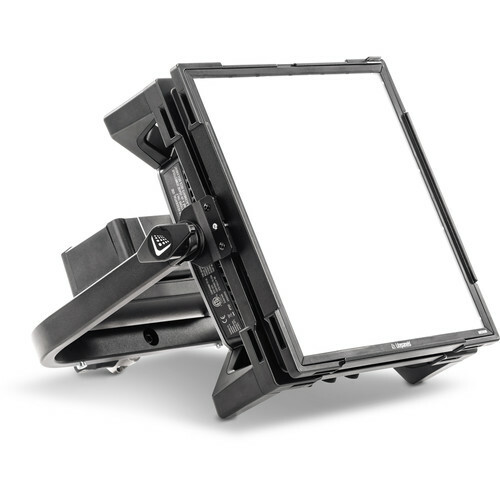 The Gemini is dimmable from 100 to 0.1% without flicker or color shift, and settings and features are displayed on the rear LCD screen. The fan is extremely quiet, and it is on by default. However, you can disable the fan in the menu. 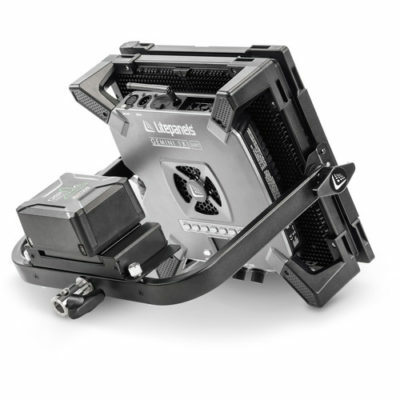 Please note that disabling the fan cuts the fixture’s output to 50% maximum. 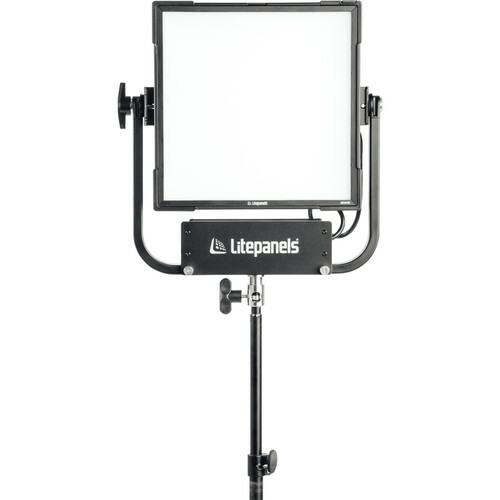 Fan modes accessible through the menu system allow you to adjust when the fan will start, which allows for the light to operate for a limited time without the fan.